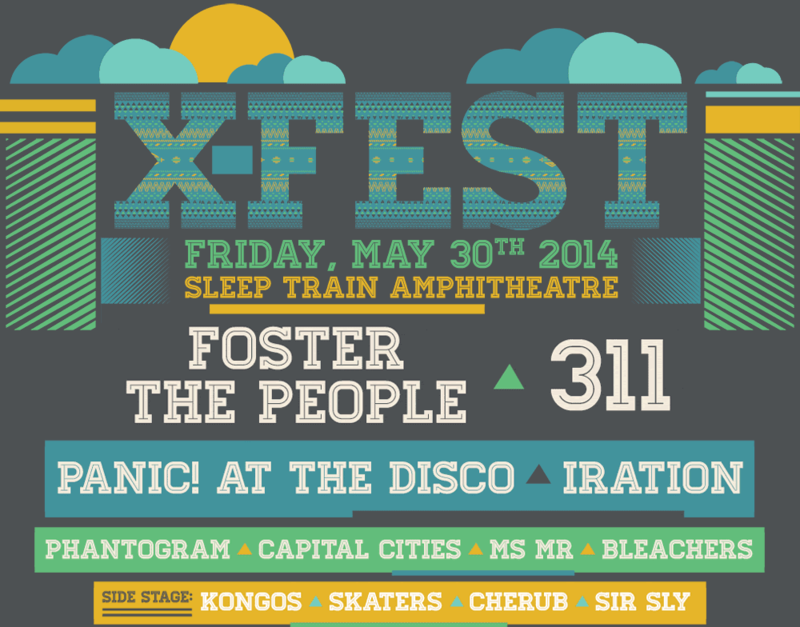 Here's the updated lineup for X-Fest, with previously unannounced bands Foster The People, MS MR, and Capital Cities. The show is Friday, May 30 at Sleep Train Amphitheatre. Get tickets here. More info from 91X below. San Diego's 91X announced today the three remaining bands on the X-Fest concert line-up that had yet to be announced. Foster the People will co-headline the concert with 311 on May 30 at Sleep Train Amphitheater, with Capital Cities and Ms Mr rounding out the 12 band festival line-up, with Panic! At The Disco, Iration, Phantogram, Bleachers, Kongos, Skaters, Cherub, and Sir Sly.